So, once upon a time, I was going to do some volunteer work teaching English in a place called Jardim São Remo. São Remo is one of the oldest poor communities that developed around a richer area, in this case the richer area was University of São Paulo in Butantã. There is a tangled love/hate story between the two--Jardim São Remo was first created by the construction company which built it for the workers that were constructing the university campus in the 1960s and 1970s. Once the campus was finished, the workers stayed on. Many of the current residents still work as gardeners or janitors or whatever on campus, which is why there are two gates open between the community and the campus. 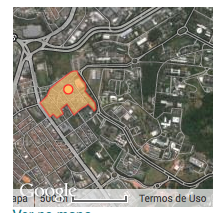 Today I noted that the Folha de São Paulo had classified São Remo as a "favela"or slum, rather than a "comunidade" or community. I personally would not have closen "favela" since that brings to mind haphazard cardboard and metal roofed temporary places. And I can't think of a place that supplies a lot of good to the university, and the pejorative-laced "favela." My experience there was that it very much was a community--the woman in charge of the NGO (Alavanca) took me around the streets. The homes were piled on top of each other, pieced together from brick and concrete block. Small rooms were filled with multiple families, the roads terrible, filled with trash, with electric wires and with people. Yet every person said hello to me. I was introduced to the woman at the gate of the community that leads to University of São Paulo. She told me about how she was starting a bookmobile for the community. I felt secure. About two months later, I met a distance runner from São Remo and took him home from one of the races, taking him as far as that gate that walled the poor from the rich campus that is USP. I could hardly drive in there with my imported Japanese car. It just wouldn't look good. Today São Remo is again a favela, according at least to Folha. USP seems to be under attack from a gang there. 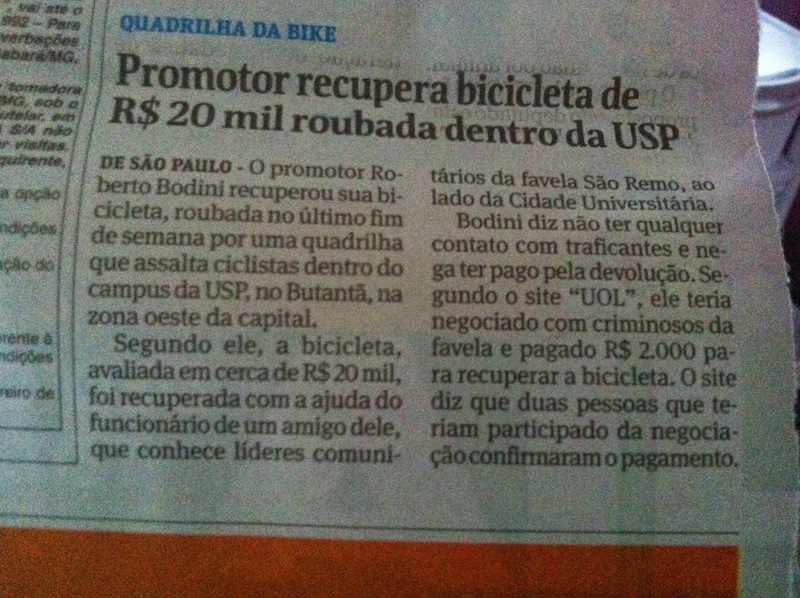 $20,000 reais bicycles are being stolen at gunpoint as their owners rid around the campus early in the morning. The bicycles are disappearing into São Remo. This latest story claims that a negotiation took place between an executive and the "leaders of the favela" to get back his R$20,000 bicycle. Some say he paid R$2,000 to get it back. In the end, most favelas probably are communities in the sense that the live together, succeed together and suffer together. Meaning, I am guessing that police presence will shortly be heightened there. There's a lot of good in that bad, so I just hope they stop to figure out which one is which. Those are some really expensive bikes! I know this is blaming the victim, but these guys are slightly nuts for riding around on equipment worth more than the salary of most people here.